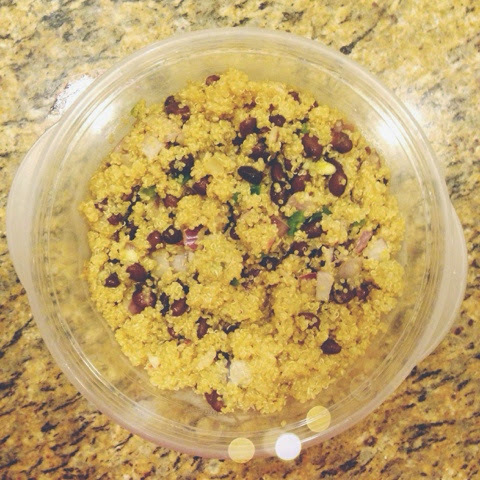 This week I am going to be packing this yummy quinoa dish that I found on Pinterest! 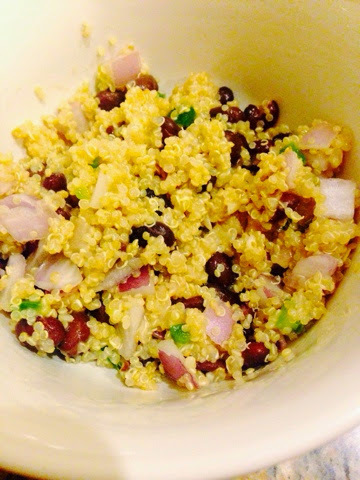 Boil 2 cups of water, add 1 cup of quinoa along with some salt, simmer (covered) for 20 minutes, and done! 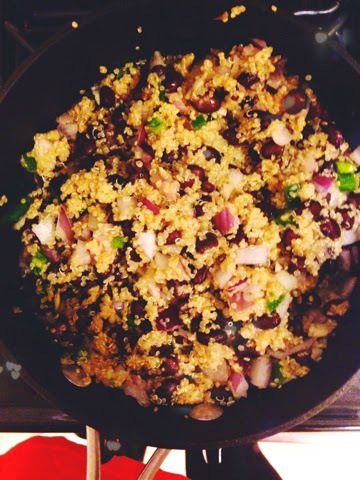 After the quinoa is done, I literally add the ingredients to the pot and stir it all up! The lime is squeezed to give it great flavor (and you can also zest the lime a bit too). I can't wait to eat this for lunch along with some baked tortilla chips!